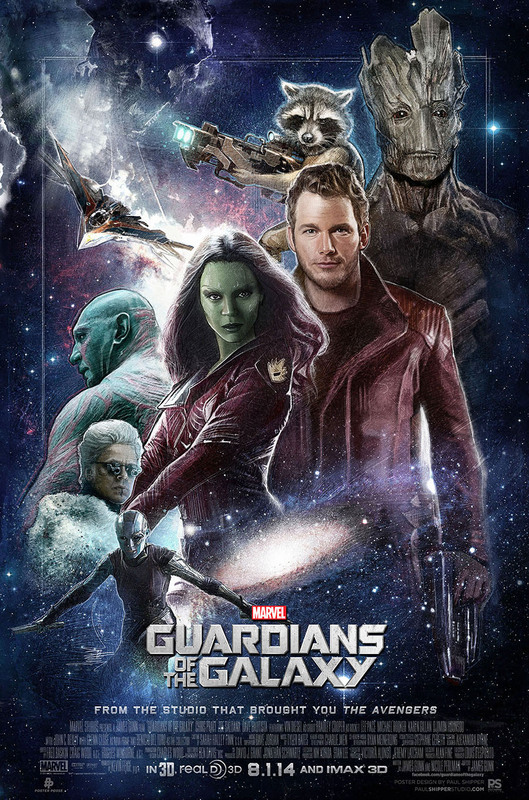 Guardian Of The Galaxy is one of the best space adventure movie made by Marvel Comics. It consists of a team of superheroes who saves the whole galaxy from being destroyed. 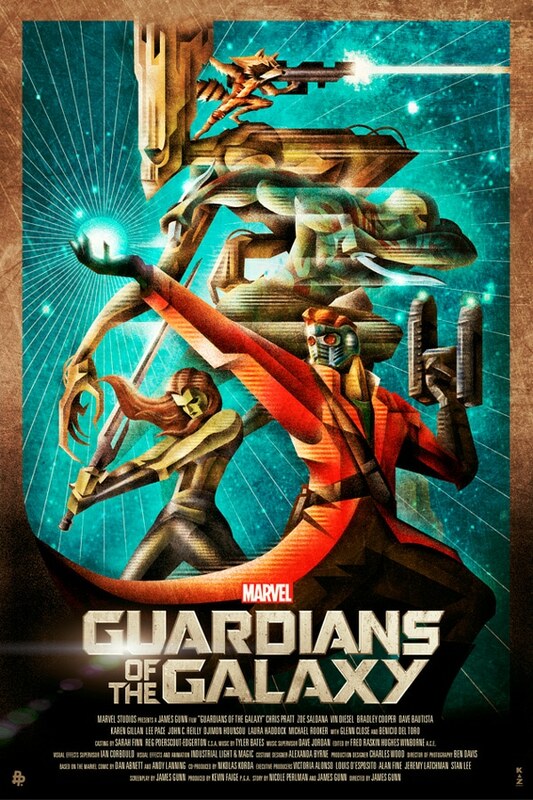 Here is a short introduction to the movie and high-quality printable Guardians of The Galaxy poster collection. 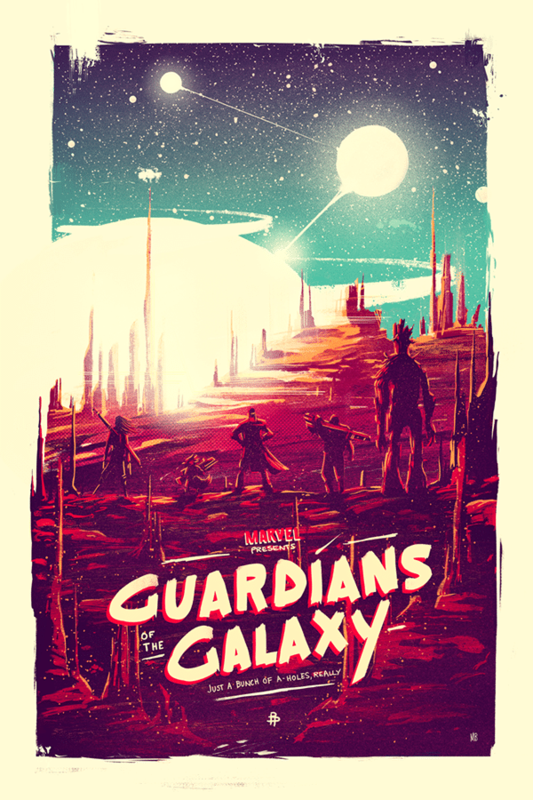 The movie is based on Peter Quill, who forms a team, which later called, Guardians Of The Galaxy, to fight Ronan and take back a powerful artifact, called “Orb”, and save the galaxy to be destroyed by Ronan. The movie is full of action and sarcastic moments. It’s worth watching if you are into action and comedy movies. And if you are a Marvel’s fan, and haven’t watched it yet, just go and watch it now. 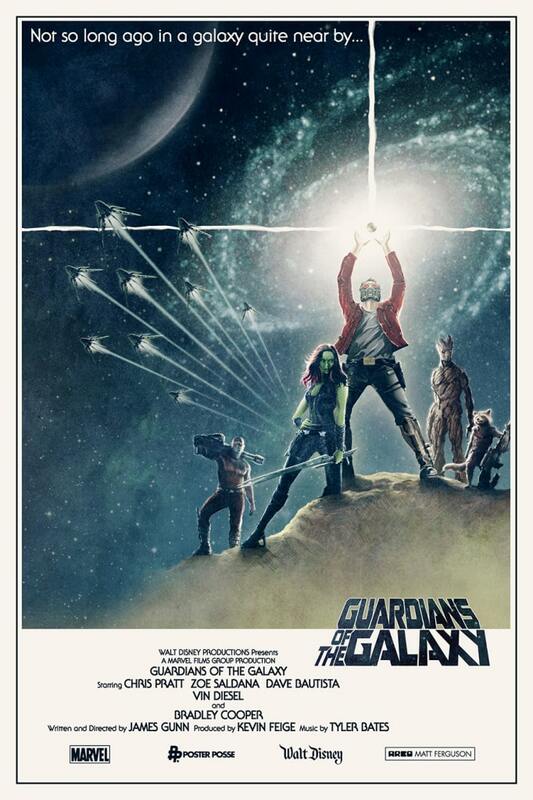 The GOTG became the 3rd highest grossing movie and 1st highest grossing superhero movie of 2014. It got many awards including Critic’s Choice Movie Award for Best Action Movie. Note: There are so many other characters in the movie, but the main characters are listed above. Moreover, if you want to check out all the character’s list, it’s here. So, Let’s start the tour of the galaxy! The movie was released on July 24, 2014, and the above one was the official poster of the movie. 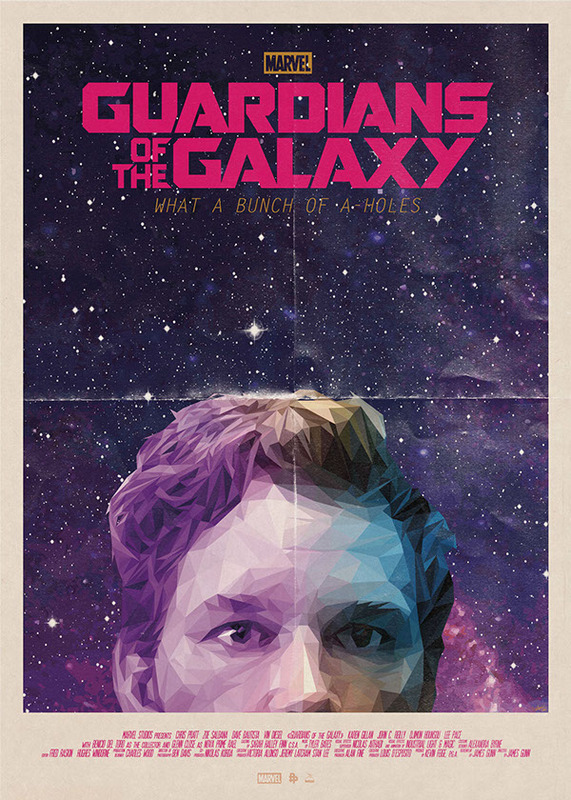 Peter Quill, AKA, Star-Lord, is presented as a stylish character from the earth and Chris Pratt has nailed it. 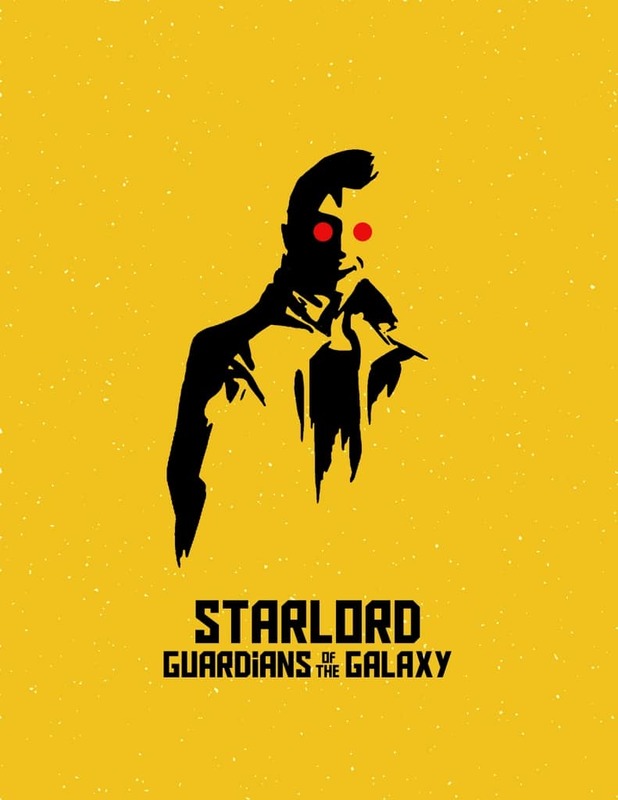 To market the movie, Marvel created so many creative posters, which we are presenting you to download for free from so many different platforms. 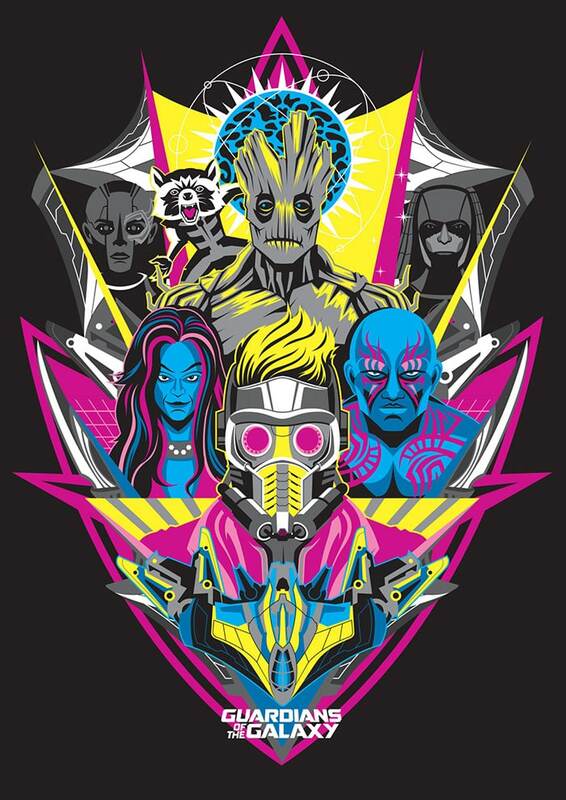 This would look great on your bedroom walls if you are a big fan of GOTG. Enjoy Guardian-Fans! The movie is the first sequel but still became a huge success. Although it’s a bit complicated story, it just needs your full attention to understand it. It made more than 700 million dollars box office collection on a budget of around 223 million dollars. 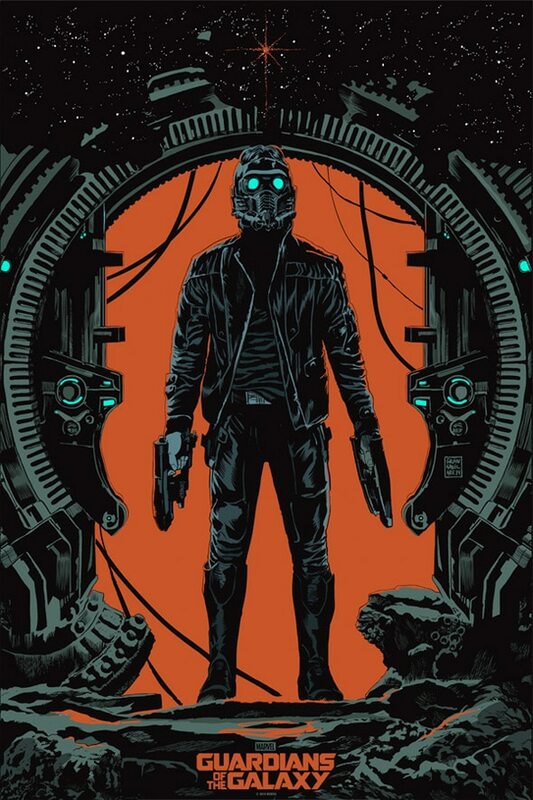 Peter Quill, AKA, Star-Lord, is half human and half Celestial, which is an ancient race of entities that possess matter and energy manipulation. So, to sum up in simple words, Peter is a half human and a half (super) alien. 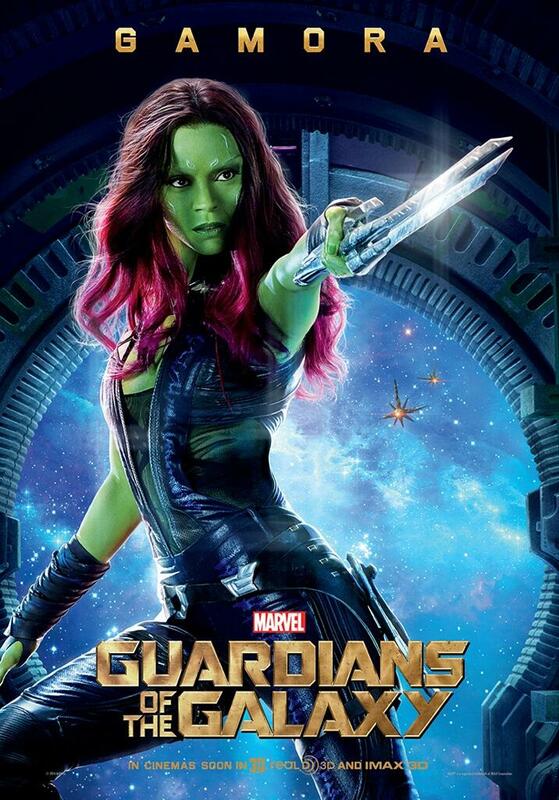 Gamora is the adopted daughter of Thanos. But later, she betrayed him to free herself and joined the Guardians Of The Galaxy. He is probably the best character in the whole movie. 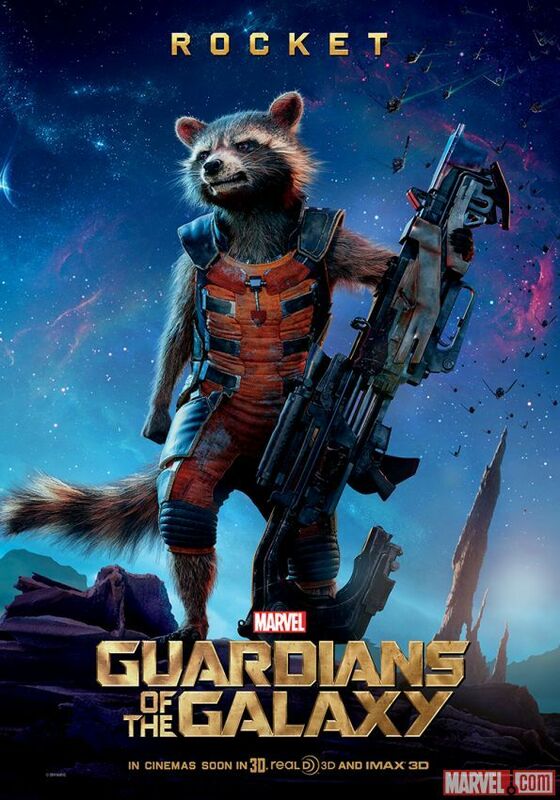 He was the partner of Rocket Racoon in bounty hunting before meeting Peter and joining GOTG team. 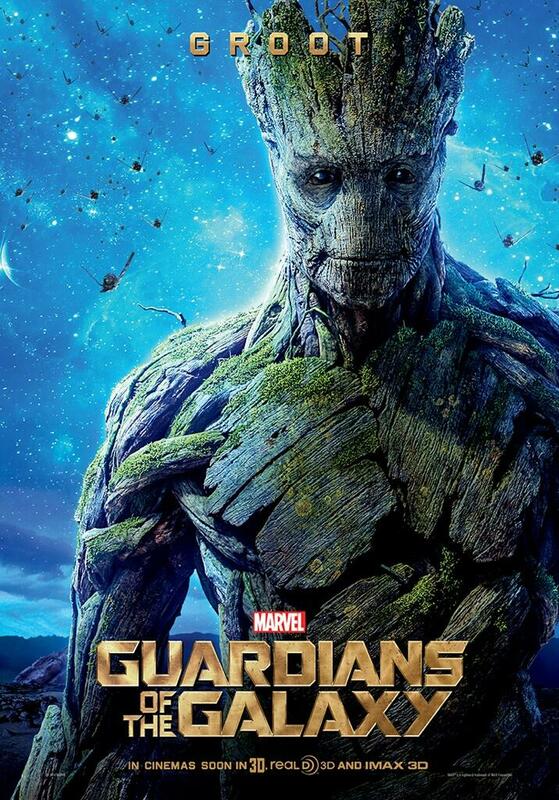 His dialogues are the best in the movie, including “I’m Groot”, “I’m Groot” and “I’m Groot”. 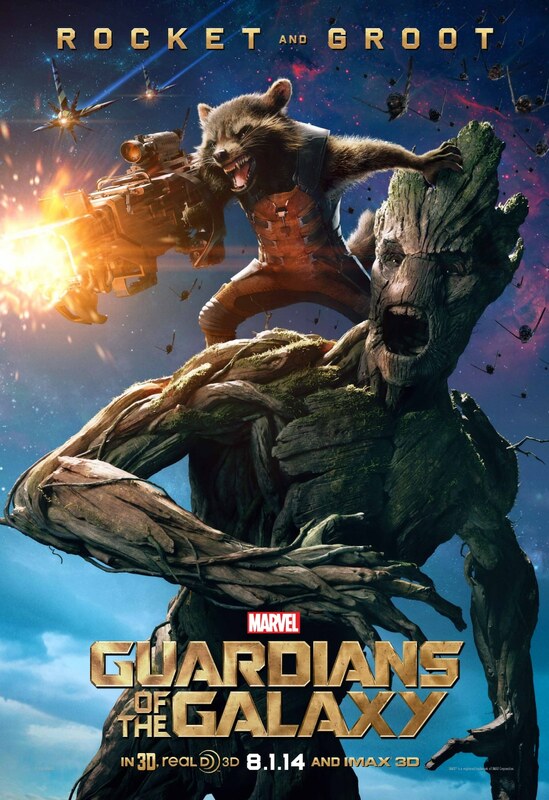 Rocket is a genetically enhanced animal, who used to perform bounty hunting with his friend and partner, Groot. Later they leave picking bounties when they meet Peter, who convince them to help him sell the orb for a massive profit. 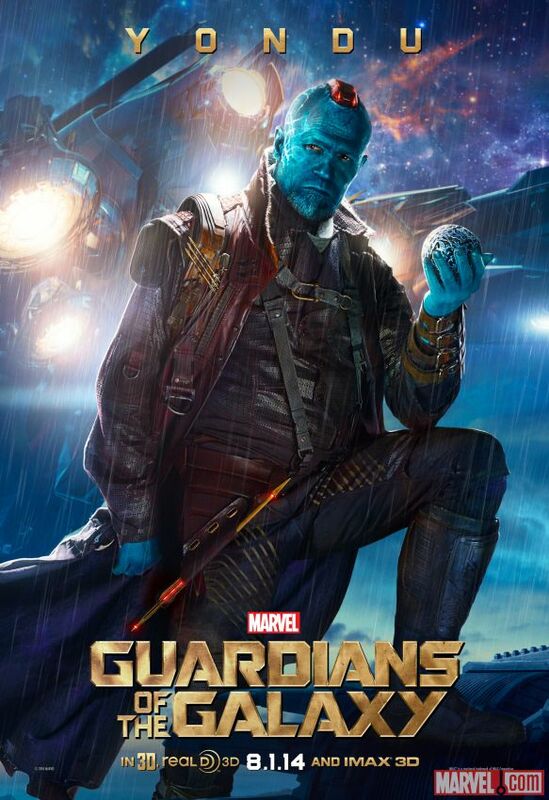 Yondu is the adoptive father of Peter Quill and the leader of the Ravagers, which is a crime syndicate. Peter was a part of the syndicate, but later betrayed Ravagers. 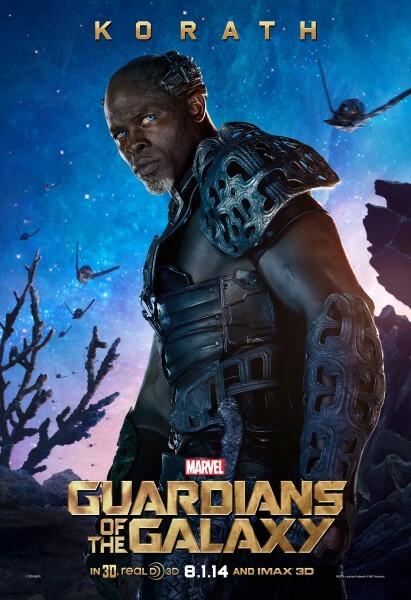 Yondu then led the hunt for Quill, but ended up helping him in stopping Ronan from destroying the Xandar. 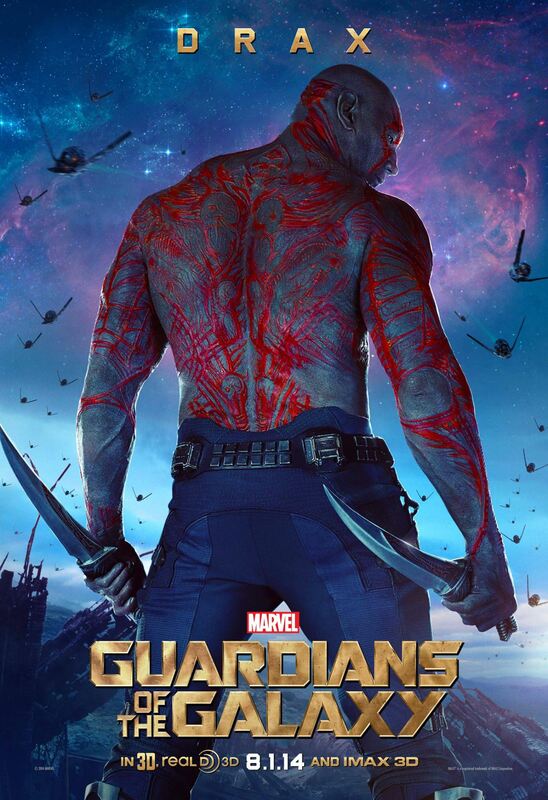 Drax, AKA, Drax The Destroyer, was an intergalactic criminal, and later joined GOTG. He tried to take revenge from Ronan, for killing his wife and daughter but ended up being imprisoned by Nova Corps. 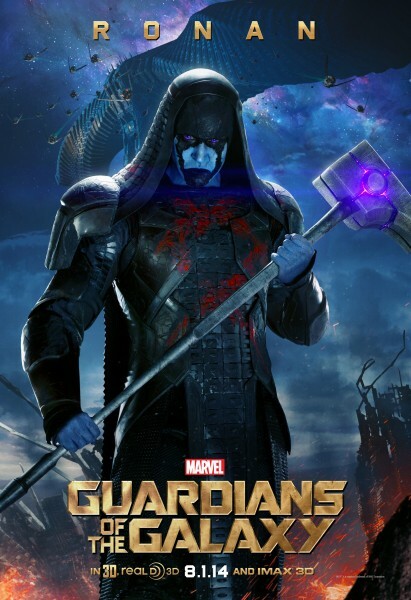 Ronan was the citizen of Kree and held a strong authoritative position there. He wanted to revenge on Xandar by destroying it (Am I the only one who thinks he looks like the ghost in Conjuring 2). 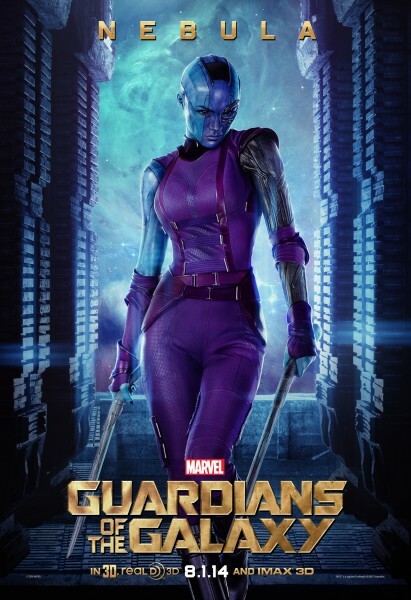 Nebula was the adoptive sister of Gamora. She wanted to kill Gamora and her father. Also, she was the right hand of Ronan and helped him in fighting against Guardians and Xandar. Korath was working for Ronan and was ordered to find Orb. He stood loyal to Ronan even after he found the Orb. But later got killed by Drax. He was also known as Korath The Pursuer. (There is nothing much about him. I included him, only because this poster was looking cool). The duo were freelance criminals and used to do the work of bounty hunting. Though, they later joined GOTG to get the profit from selling The Orb. 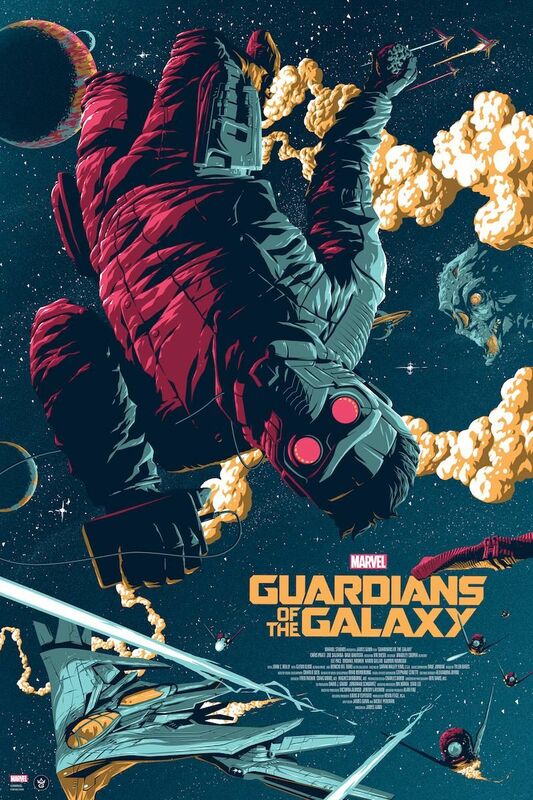 Keep scrolling to experience more amazing GOTG posters. 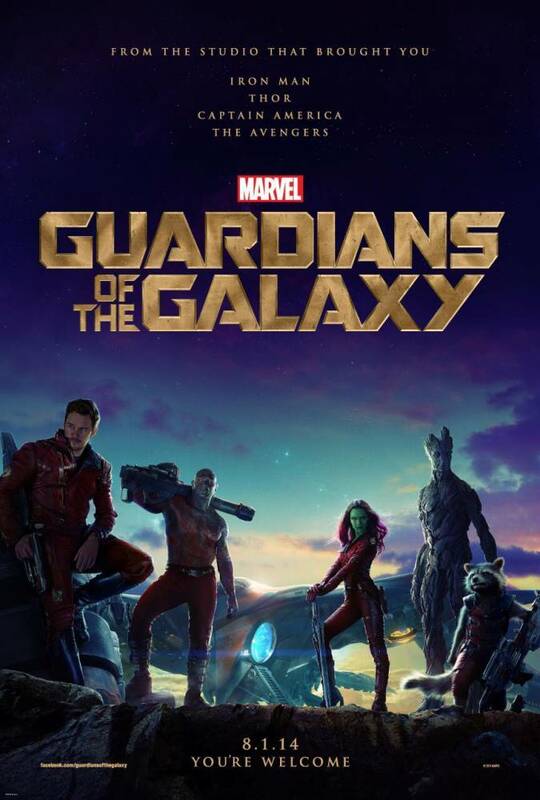 While the GOTG is a sci-fi adventure family movie, it consists of some adult jokes (which reminds of Deadpool) and language too. But don’t worry, you can still watch it with your whole family. 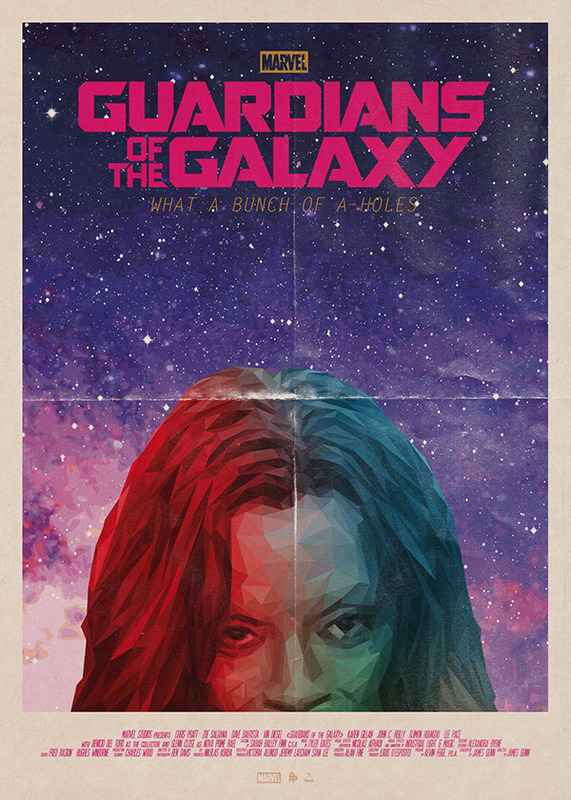 Gamora is not much of fun, her character is serious and angry. Although, she is a tough character, Marvel has presented her in such a way, that she still entertain us. 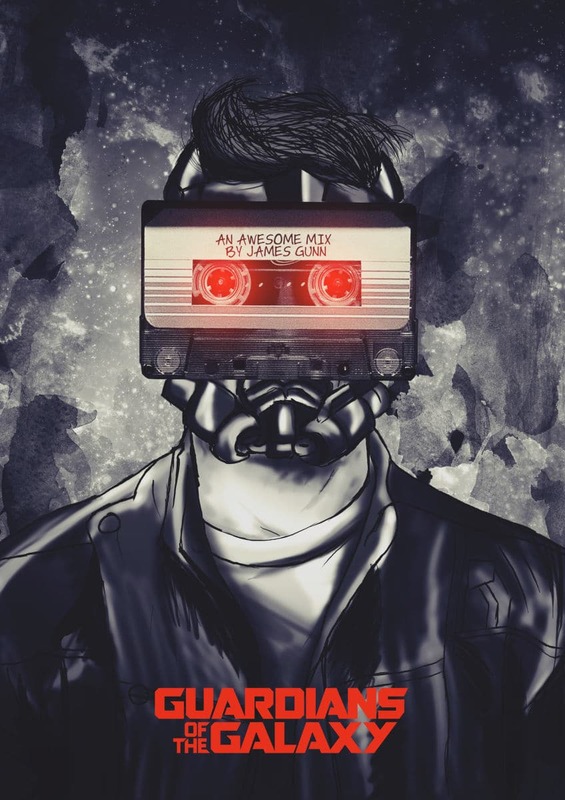 Peter was gifted with a mixed tape by her mother, and there were 2 tapes and a note. Though, he did not open the second tape, but his first tape consists of 12 songs from the 1970’s. 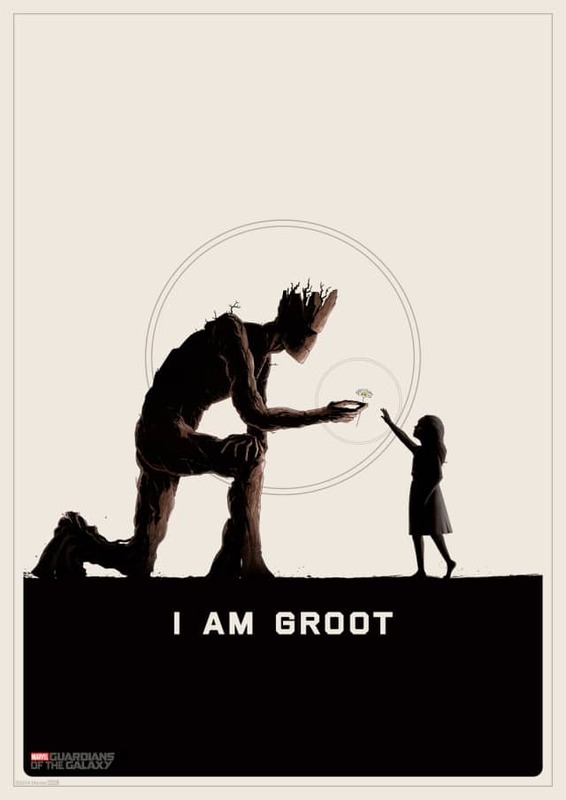 Groot is a generous plant. He cares for his friends. In the ending, he dies to save his friend. However, a new small plant just like Groot, was developed after his death, which was later called Baby Groot. The above poster includes all the main characters of the movie. It would look good on your walls. Or you can set it as your wallpaper to show the world that you are a “Proud Guardian-Fan”. 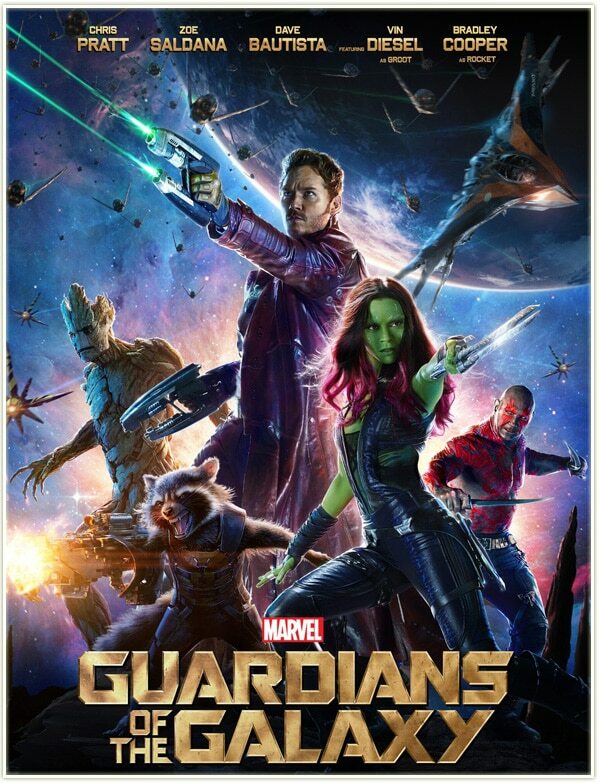 James Gunn is the director of the movie and he has done a great job. Let’s see how the third sequel will be. Almost all the Marvel’s movies are already been shown as a cartoon episode. So all the people who say “You are a 20-year-old ‘kid’, because you still watch cartoons”, respect us, because we have already watched the movies, which you are watching now. 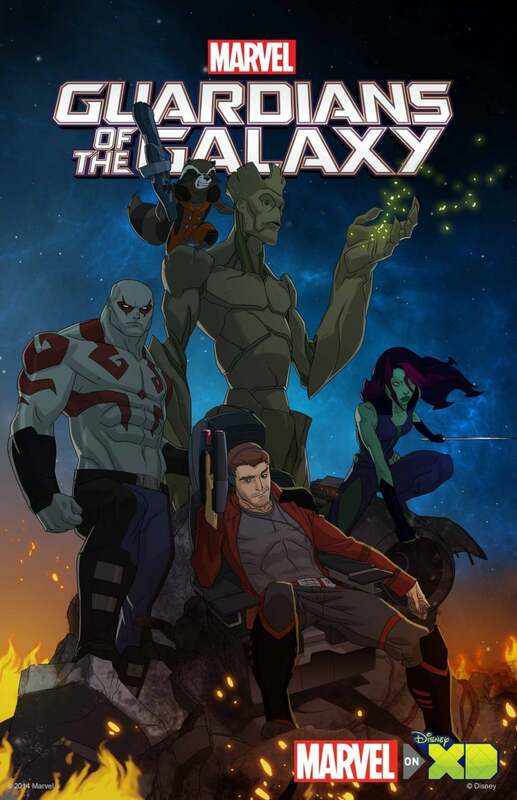 After being abducted by his stepfather, Yondu, Peter started working for Ravagers, and began building fame as the legendary outlaw “Star-Lord”. 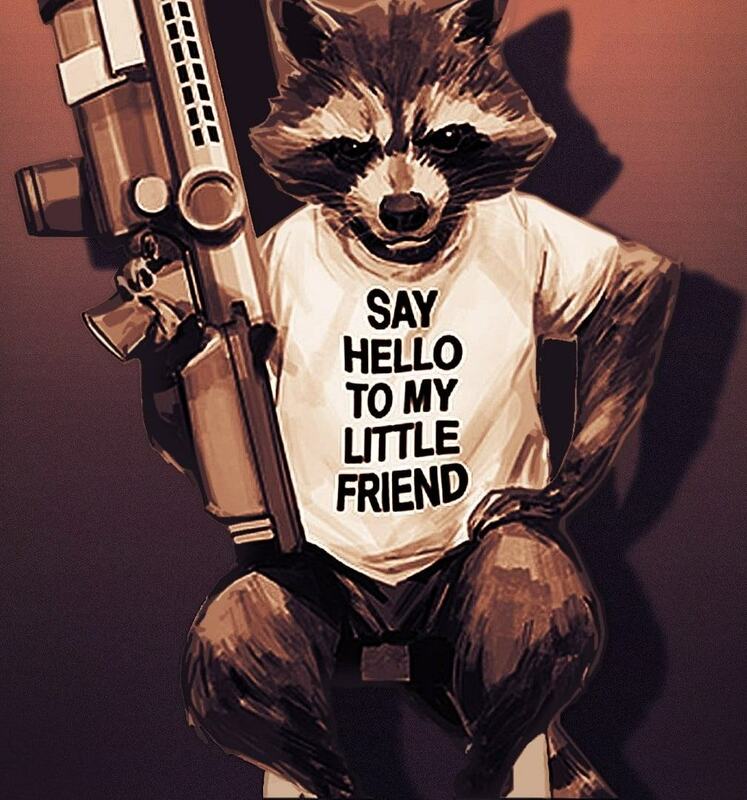 Rocket is the best character after Groot and followed by Peter. His role keeps the action and comedy of the movie balanced. Yet his dialogues are none better than Groot’s, because, ‘Groot is Groot’! 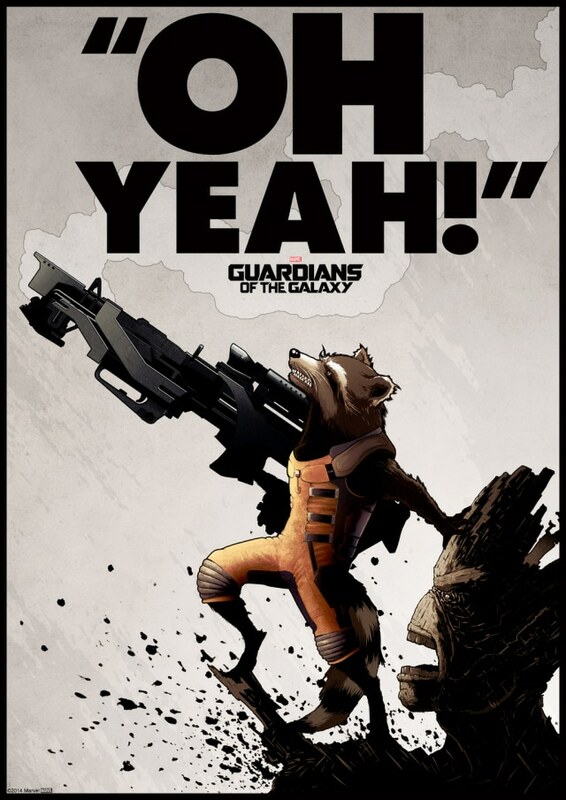 Rocket is probably the coolest character of the movie. He likes to destroy things, and his role is full of action, which is why we watch Marvel’s movies. The stories of all the cartoons and movies of Marvel are mostly taken from the Marvel’s comics which were probably published decades ago. The official posters of the movie are awesome to be printed and hang on the wall. 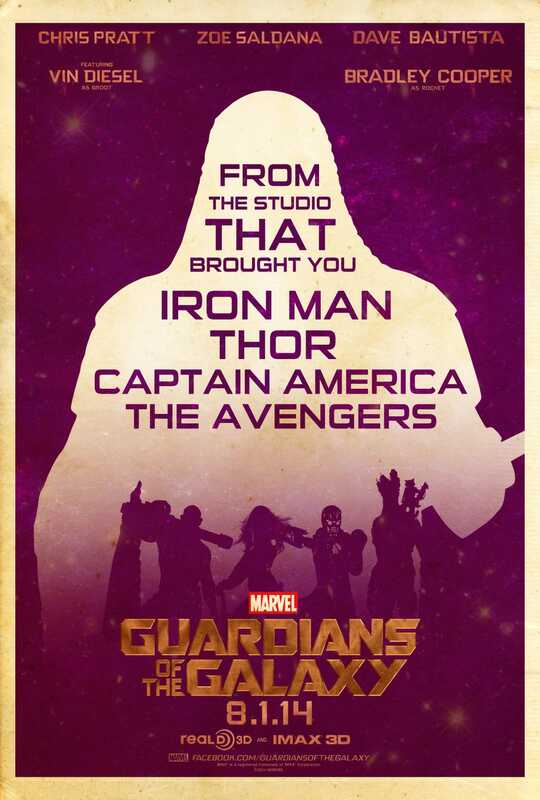 In almost every poster, Marvel always tells us that how much they have done for us. Yes Marvel, we are so thankful for this, but please stop reminding us this again and again. 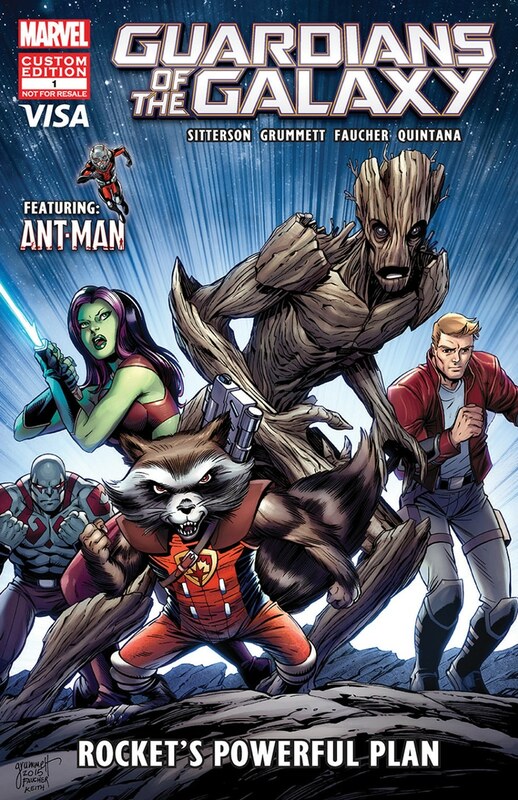 The GOTG is the third best team in Marvel universe. First is Avengers, which doesn’t need any introduction, and second is The Illuminati, which is formed by Iron Man. It consists of Dr. Strange, Professor X, Captain America, Mr. Fantastic, and many more. There is so many hidden sarcasm in Marvel movies. 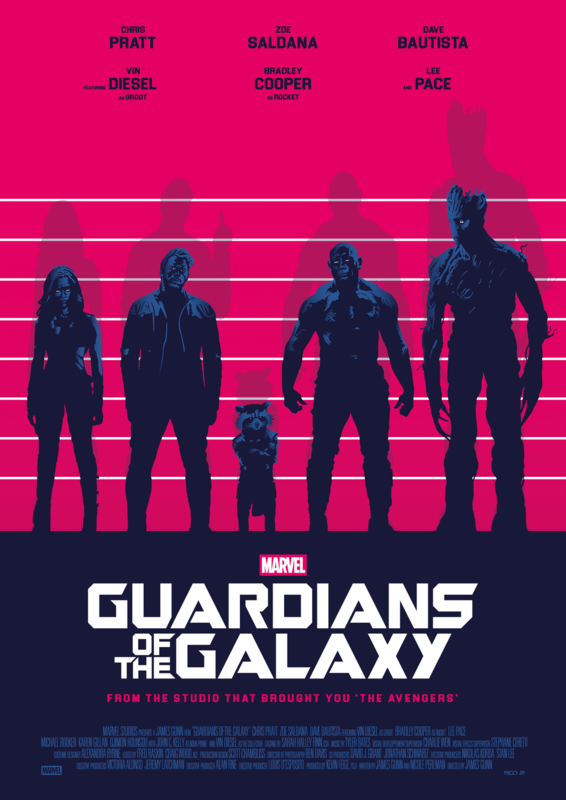 Enjoy the shadow of Peter Quill (Second number from left). As mentioned before, that Quill is a half human and half alien, and Yondu is adoptive father of him. 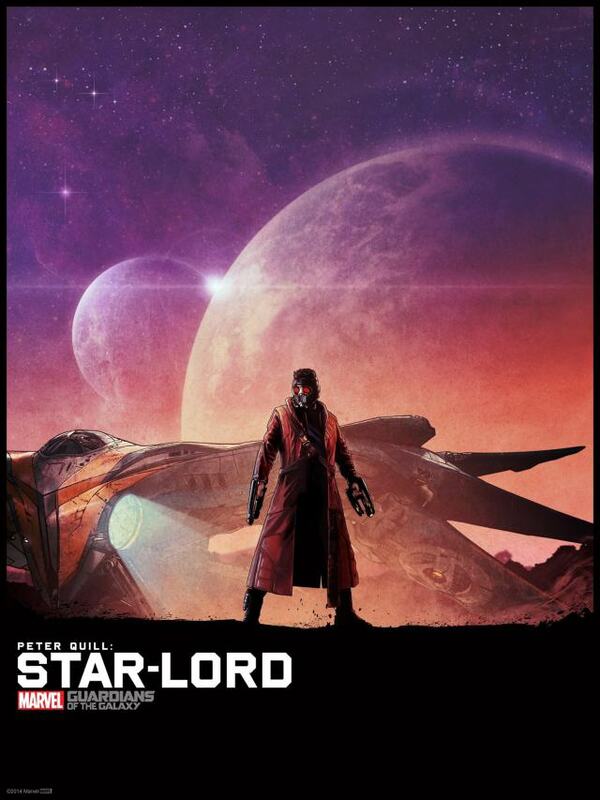 You may be wondering, that who the hell is the father of Peter Quill? Just wait and watch the second part of this movie, my friend. My final and only words would be that just go and watch this movie. But, I would request the makers of the movie to name the characters with more easy and general words. It’s weird to pronounce “Yondu” or “Nebula”, and it’s hard to remember their names too. 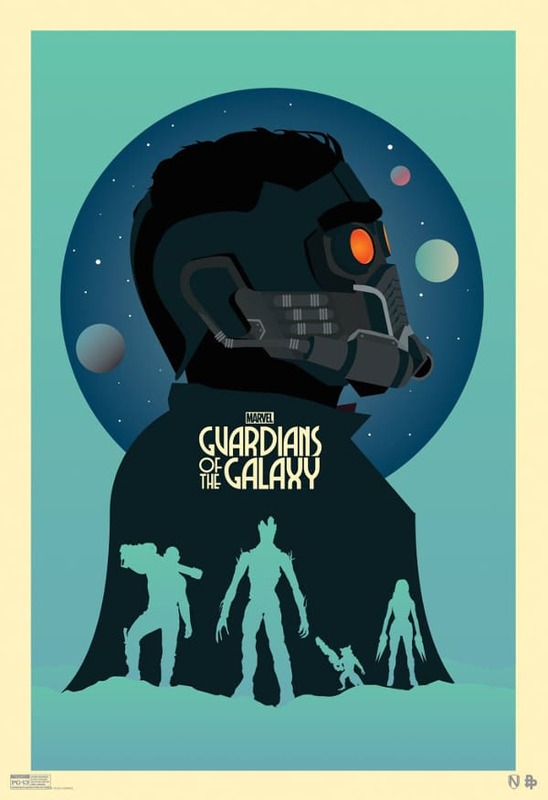 But it is not hard to download high-quality printable Guardians of The Galaxy posters from our website. Just right-click on the poster you want, and click on “save image”. Also, share this post with your friends, and keep visiting our website, because we give you high-quality printable posters to download for free.